For more than a century, original music has been composed for the cinema. From the early days when live music accompanied silent films to the present in which a composer can draw upon a full orchestra or a lone synthesizer to embody a composition, music has been an integral element of most films. By... read more the late 1930s, movie studios had established music departments, and some of the greatest names in film music emerged during Hollywood’s Golden Age, including Alfred Newman, Max Steiner, Dimitri Tiomkin, and Bernard Herrmann. Over the decades, other creators of screen music offered additional memorable scores, and some composers—such as Henry Mancini, Randy Newman, and John Williams—have become household names. 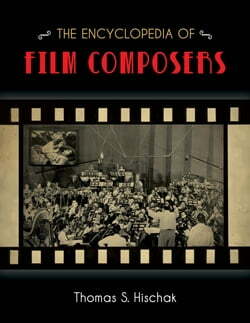 The Encyclopedia of Film Composers features entries on more than 250 movie composers from around the world. It not only provides facts about these artists but also explains what makes each composer notable and discusses his or her music in detail. Each entry includesBiographical materialImportant datesCareer highlightsAnalysis of the composer’s musical styleComplete list of movie creditsThis book brings recognition to the many men and women who have written music for movies over the past one hundred years. In addition to composers from the United States and Great Britain, artists from dozens of other countries are also represented. A rich resource of movie music history, The Encyclopedia of Film Composers will be of interest to fans of cinema in general as well as those who want to learn more about the many talented individuals who have created memorable scores.